Looking for the best price on Wholesale Rock Salt & Wholesale Calcium Chloride in NY? Call one of New York’s most trusted & reliable companies at 585-292-9870 and 607-347-4455 – The Duke Company & Rock Salt & Ice Control HQ. Wholesale Rock Salt from American Rock Salt is our specialty. 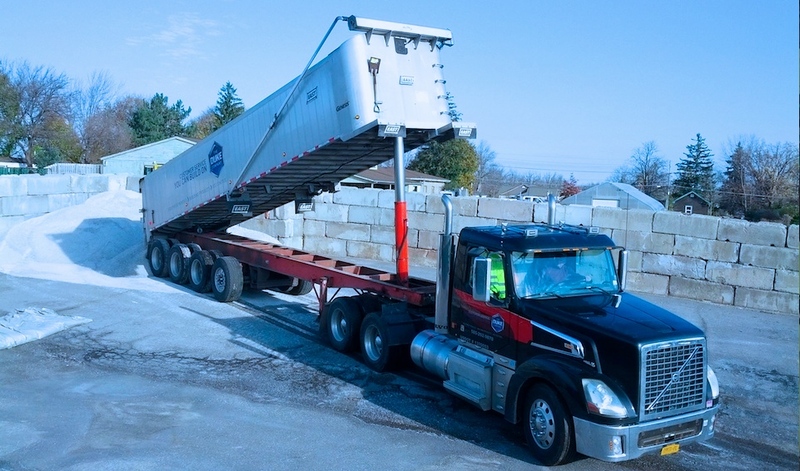 The Duke Company’s state-of-art salt barn and scales, ensure that you get the quantity of rock salt that you need (by the ton, truckload, pallet and bags) with accurate scales (certified by the State of New York), to ensure that you pay for only the quantity that you are buying. Whether your needs are municipal, highway, commercial or residential, we would be glad to assist you with Bulk Road Salt, Bulk Rock Salt, Halite Salt and Highway Salt. Calcium Chloride is a go-to resource for deicing professionals and pro snow plow crews for its power to melt away ice and snow at very low winter temps. Pros often mix wholesale Calcium Chloride flakes with wholesale rock salt to increase the melting capability in tough weather conditions. Whether you are looking to buy wholesale calcium chloride by the pallet, bag or in bulk, the Duke Company is glad to assist you with the best prices and fastest delivery. If you are looking for fast delivery of snow plow parts and accessories, call Rock Salt & Ice Control HQ and The Duke Company at 585-292-9870 (Rochester NY) and 607-347-4455 (Ithaca NY). We delivery through-out NY including: New York NY / NYC, Poughkeepsie NY, Syracuse NY and White Plains NY. Best Prices, Fastest Delivery & Outstanding Service for Rock Salt, Deicers & Snow Plow Accessories throughout NYC and New York.